Carnegie Mellon University professor Illah Nourbakhsh caught the robot bug at an early age, and as the director of CMU's CREATE Lab, he's influencing a technologically fluent generation to harness their energy for socially meaningful innovation. He shares his journey and what he's hoping for the years ahead. Later in the program, a transit conference in Pittsburgh this week posits that repositioning the city's transit system is vital to maintaining its quality of life, attracting new talent and lifting up neighborhoods left out of its early rebirth. Rail~Volution CEO Dan Bartholomay says it takes authentic community engagement and innovative partnerships to build livable -- and economically healthy -- communities. Sixteen congregants from Malawi and four from South Sudan traveled to Pittsburgh for an immersive stay with their partners in faith at the First United Presbyterian Church of Crafton Heights. 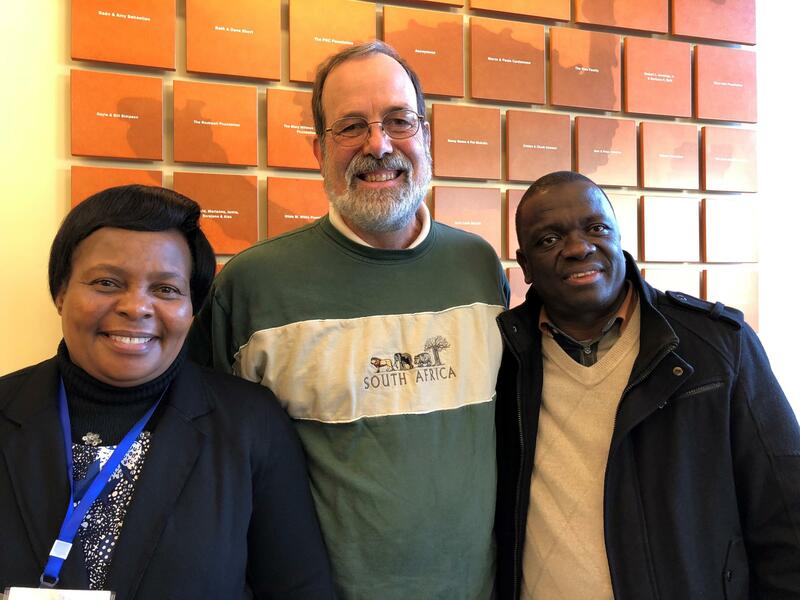 Mercy Nhlema (left) and Davies Lanjesi (right), elders in the Church of Central Africa: Presbyterian, stand outside the WESA studios with pastor Dave Carver of the First United Presbyterian Church of Crafton Heights on Tuesday, Oct. 23, 2018. Zach Goldstein takes 90.5 WESA's Dividing Lines series to Squirrel Hill, a mostly white neighborhood, and its local public elementary school, Minadeo, where most of the students are black. He explores how the decision to send a child to private school can have unintended consequences for the less affluent kids and community they left behind. WESA's Sabrina Bodon explains what's for grabs in state House District 54 where Republican Bob Brooks is up against Democrat Jon McCabe. 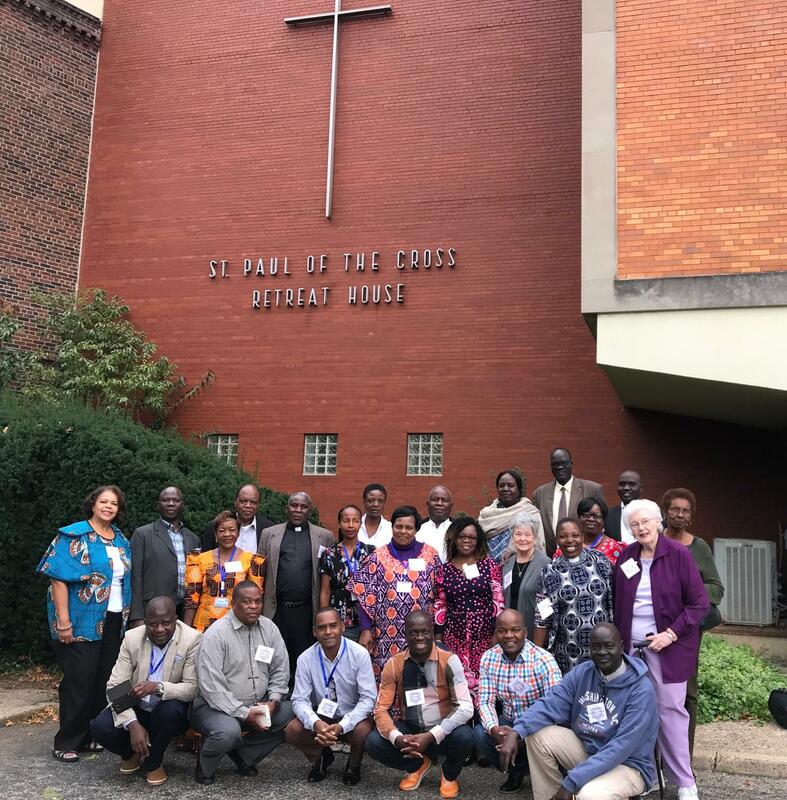 And 20 visitors from Malawi and South Sudanese are wrapping up a visit to Pittsburgh as part of an annual exchange between the Pittsburgh Presbytery and their counterparts in Central Africa. Davies Lanjesi and Mercy Nhlema, elders in the Church of Central Africa: Presbyterian, and Dave Carver, pastor of the First United Presbyterian Church of Crafton Heights, discuss the history of their enduring cross-continental partnership; the challenges and similarities among their different congregations; and how the immersive experience is evolving. Pittsburgh’s Gilded Age skyscrapers often pale in height and granduer to their modern-day cousins, but the tycoons behind them do not. The Pennsylvania Supreme Court heard arguments Tuesday over two laws that could affect workers in the city of Pittsburgh. One of the measures requires private employers to offer between three and five paid sick days a year, while the other creates new training rules for security officers in many larger buildings. The school-to-prison pipeline is the inspiration for a new show at Pittsburgh's City Theatre. Obie award-winning playwright Dominque Morisseau wrote PIPELINE to explore the disproportionate disciplining of minority students, which can put them on the pathway to eventual incarceration. How Important Is Community Involvement In Violence Intervention? After several reports of stalking in Lawrenceville this summer, several groups came together to host a workshop explaining how bystanders can help curb harassment and assault.